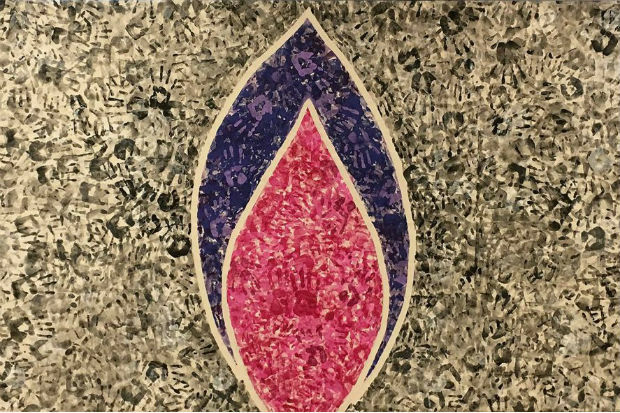 Art work by Megan Lloyd, created in her role as a Regional Ambassador for the Holocaust Educational Trust while working at Solihull School, whose pupils and staff provided the handprints. Holocaust Memorial Day commemorations on 27 January remember the millions of people killed in the Holocaust, Nazi Persecution and in subsequent genocides in Cambodia, Rwanda, Bosnia, and Darfur. The theme of the day for 2019 is ‘Torn from home’, encouraging us to reflect on how the enforced loss of a safe place to call ‘home’ is part of the trauma faced by anyone experiencing persecution and genocide. Holocaust Memorial Day events are taking place in over 20 departments across government (see the list of events below). If any civil servant would like to attend an event outside their home department, they should contact their internal communications team for further information on how to take part. Over the recent holidays I read East West Street, a powerful book about the murder of Jews in the Holocaust, and the Nuremberg trials that followed the end of the Second World War. The book traces the path of four men – all lawyers – and their families with a close connection to what is now Lviv in the westernmost part of Ukraine: the author’s grandfather, the men responsible respectively for developing the concepts of crimes against humanity and genocide, and the German official who governed the territory from 1942 to 1945. The stark horror of what the book describes is completely shocking: systematic, calculated inhumanity. We’d all like to turn away, but it’s immensely important that we don’t. Genocide doesn’t just happen, it’s the culmination of unchecked discrimination, racism and hatred over a period of time. Looking the end point in the eye is a good way to remind ourselves of the need to stay alert to the early signs and act quickly to correct them. One of the most shocking aspects is that these terrible crimes, which feel as if they could only belong in medieval times, happened half-way through the century in which most of us were born. This is recent history. In 1963, when I was born, the end of the Second World War was only 18 years in the past. That’s as long ago as 2001 is today, and 2001 really doesn’t feel like the distant past. I can guarantee that anyone who was working in the Ministry of Agriculture, Fisheries & Food at the time remembers the outbreak of foot and mouth disease in 2001. So the Second World War was a prominent backdrop for me growing up, from the decommissioned air raid shelters in the school playground, to the Spitfire models that we made. And, in a strongly Jewish part of north west London, the Holocaust was very much part of that history. Many of my friends’ families had very strong views, rooted in experience: most had lost relatives in the Holocaust. The mother of my best friend at infant school had come to England through the Kindertransport. And yet it wasn’t something that was talked about directly. We didn’t hear from the Holocaust survivors in our midst. I don’t recall ever hearing a personal testimony during my schooldays, despite the ready access to those who could have offered it. It was of course a time of greater reticence more generally, when feelings were often considered off-limits. But it still seems extraordinary that events so terrible, which gave rise to the definition of both crimes against humanity and genocide, were not held more centrally in our minds. Because talking about it is part of the insurance against it happening again. That’s why Holocaust Memorial Day is so important, keeping the Holocaust in our minds. Holocaust Memorial Day is marked through events around the country on and around 27 January, the day when Auschwitz was liberated. With the support of the Holocaust Educational Trust, many events – including one in the Department for Environment, Food & Rural Affairs (Defra) at 2 Marsham Street on Thursday 24 January – will offer the opportunity to hear direct from a Holocaust survivor. Their personal testimony is so powerful, and so valuable, it leaves no-one untouched. The survivors will not be with us forever, so it’s essential for us to listen to them while we can. I encourage everyone to find an event near you, and not let this opportunity pass. Many departments plan to record and broadcast events from their London HQs for those unable to attend. * This event is unfortunately not open for attendance by staff from other government departments. Hi, thank you for this article and for advertising these Holocaust Memorial Day events. It is vital work. I am really pleased that you are using it, but I would love for my name and the school's name to be included. Many thanks. Many thanks for your comment and for alerting us to the origin of the very striking image you produced for the Holocaust Educational Trust. We have now included a caption recognising you as the creator of the image and acknowledging the contribution of staff and pupils at the school. The diaries of Professor Victor Klemperer give an amazing insight into life as a German Jew before ,during and after the war when he settled in East Germany. It is the reality of day to day life as a Jew under the Nazi regime. His books depicts the slide of the German nation into barbarity and how it went almost unnoticed or challenged. They document how easily hatred can rise and become the norm and in his words and you feel the fear, the hunger and the despair. However what shines through is his will to retain his humanity in spite of the degradation and cruelty he is faced with. It is the human things such as his love for his wife, the care he gives his pet cat (Jews weren't allowed pets) that really pierce your heart. I would make books 1 and 2 required reading in our high schools. Very important but less we not also forget the other minorities that the Nazi regime also despised. Jews, Travellers, Jehovah's Witnesses, Homosexuals, Marxists, Intellectuals. A diverse group, many were upright, conservative citizens who were loyal Germans. However, all of these groups are somewhat different, not mainstream and not marching in rows and columns. a group not often mentioned were German Freemasons. In fact some people think they were the third most persecuted group. This is a beautifully written blog detailing such a harrowing part of our recent history. It is so important that we remember and that our children remember.